Google's mapping service for mobile devices is getting an upgrade as the internet search leader braces for new competition from iPhone-maker Apple. The improvements center on listings for public transportation options in nearly 500 cities around the world. Wednesday's update includes suggested routes and departure times for more than 1 million stations worldwide, about 50 per cent more than a year ago. At some stations, Google will provide indoor directions to help riders navigate the system. To highlight what it sees as a competitive advantage, Google is offering its latest improvements only on devices running its Androidoperating software. They include models from Samsung Electronics, HTC, Sony and Google'sMotorola Mobility division. Google said it eventually hopes to make the upgrades available for other systems, including the iPhone and the iPad, but it didn't say when. The changes come as Apple prepares to oust Google's maps as the automatic navigation service on the iPhone and the iPad. Apple will offer its own mobile mapping service in the next version of the iPhone and iPad operating system due out this fall. The switch could come as early as next month if the release of Apple's next iPhone comes then, as several technology blogs have speculated. Apple's snub represents a major blow for Google, which stands to lose mobile advertising revenue and valuable insights about people's whereabouts if users of the popular iPhone and iPad devices embrace the alternative mapping service from Apple. 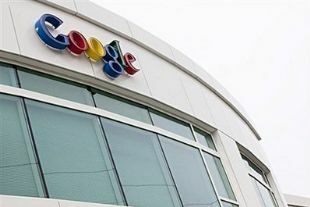 Google's once-close relationship with Apple has been fraying since it began giving away its Android software in 2008 to cellphone makers looking to challenge the iPhone. Android has since established itself as the leading operating system for smartphones, helping Google boost its revenue by selling more digital advertising on its mobile services. Steve Jobs, Apple's late co-founder, viewed Android as a rip-off of the iPhone's innovations and vowed to retaliate against Google for the perceived betrayal. Apple is currently pursuing allegations of intellectual theft against Samsung, a leading maker of Android devices, in a high-profile trial in a federal court in San Jose, California. Google believes it can stay a step ahead of Apple in mobile mapping by adding features such as its expanded public transportation directions. New technology on the maps will allow users to focus exclusively on directions for specific transportation options, such as the subway, while excluding other alternatives, such as the bus. Navigating public transit is even more important than driving directions in many major cities where cars aren't the most popular way of getting around, said Brian McClendon, vice president of engineering for Google's maps. Requests for mass transit directions are especially high in Japan, London, Sydney and New York.